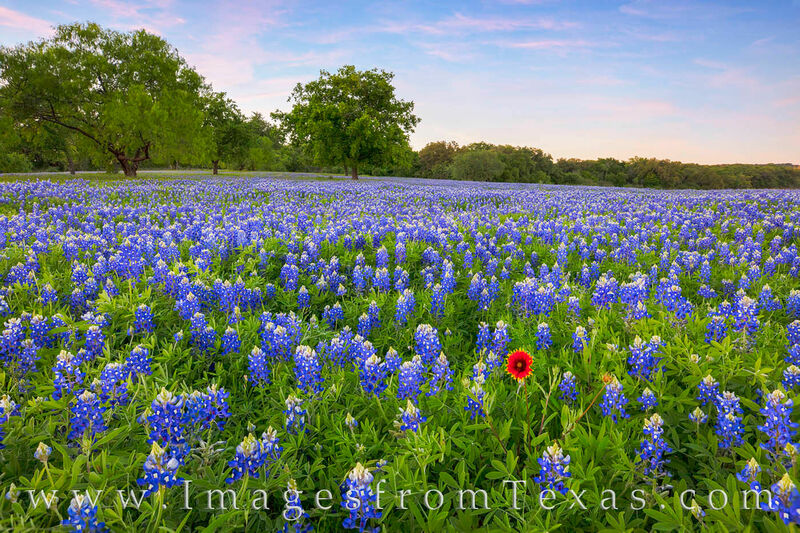 I love this lone red-orange firewheel among a sea of bluebonnets. I took several different angles of this field, but this was my favorite with the splash of red rising up from the blue. These Texas wildflowers were found just south of Marble Falls. The air was still and the evening was just about perfect. I stayed later and photographed the Milky Way in the early morning hours over this same area. Photo © copyright by Rob Greebon.